The overall financial condition of the parish is very good. In fact, our total net assets (i.e. our financial resources minus our financial obligations) have increased to $480,922, nearly a 3% increase over August 31, 2016 and a 75% increase from August 31, 2013. This is a direct result of closely managing our expenses and increased giving from our parish family. I wish to express my gratitude to the members of the Finance Council - Mercedes Colwin (Chairperson), Anthony Corrente, Neil DeRosa, Brian Dossie, and Kathleen Wright and Trustees - Dr. John Shamul and Charles Pendola for their wise counsel and advice. Our Regular Collections, which include Sundays, Holydays, Christmas, Easter and Special collections have increased by 3% to nearly $401,000. The parish has 1,449 families registered. Online Giving has increased to about 15% of those who donate. We continue to encourage our parish family to use WeShare which has the potential to increase giving and reduce administrative costs. Approximately 600 envelopes were mailed every other month. Of these, approximately 175 contributed regularly. The annual Golf Outing which recognized the selfless dedication of our CYO Coordinators and Coaches – who share their time and talent to inspire and guide our youth on and off the court was very successful both financially and in participation. 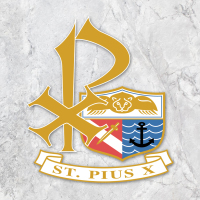 God graced the parish with fine weather for our annual St. Pius X Feast & Festival which had more than 250 volunteers, and record attendance and sponsorship. Truly the Miracle of the Feast was the warmth of our parish family - the joy of seeing fathers & mothers serving side by side with their children, young serving with those a generation (or two) between them, professionally trained chefs & bartenders volunteering their skills, new parishioners jumping right in and got involved. Total payments to the 2016 Catholic Ministries Appeal reached $76,738 from which the parish received a rebate of $40,570. Average Mass attendance has increased approximately 9%! For this, we give thanks! Our monthly Family Liturgy is well attended as is "San Pio Cafe" which welcomes everyone to hospitality following the liturgy and provides an opportunity to get to know one another. Each month the hospitality is hosted by one or more parish ministries. Bi-annual meetings of our Ministry Leaders continue to encourage strategic planning, spiritual development and ongoing faith formation among all members of our ministries. We are pleased to ministries working together to offer creative opportunities for prayer followed by a social event. Welcome/Consolation Ministry – Our Bakers Ministry continues to prepare baked goods along with a parish card of welcome and delivers to all new parishioners approximately a month following parish registration. In addition, our bakers deliver home baked goods along with a parish card of condolence approximately a month following the funeral to families who have lost loved ones. Open to Dialogue! - The Pastor continues to gather with a group of parents to engage in an ongoing dialogue so that he can more fully understand the needs and concerns of families and how our parish family is (or is not) responding. Our PreK Bible program taught by experienced educator, Cathy Polz is flourishing! Enrollment: 255 students – while this represents a 4% decline from the prior year, it reflects the demographics of the area. CYO - Our CYO Program under the leadership of Carlos Vieira (Basketball) and Laura Feijoo (Volleyball) continues to flourish. While the program provides financial support to the parish, we are most grateful for the life lessons and guidance offered to all the children in the program. New air conditioning units were installed in the church. Parish and Faith Formation Office computers were replaced with more state-of-the-art technology. In addition, operating system and MS Office suite upgrades were installed. Parish database system was also upgraded to the most current version. New industrial quality refrigerator as well as a freezer were purchased to replace the original refrigerators. Statues in Our Lady’s grotto freshly painted; repair and painting of the St. Pius X statue on the school building in progress.